The Born 2 Race series continues this September when Born to Race: Fast Track hits Blu-ray and DVD on September 9, after making its iTunes debut on August 29. 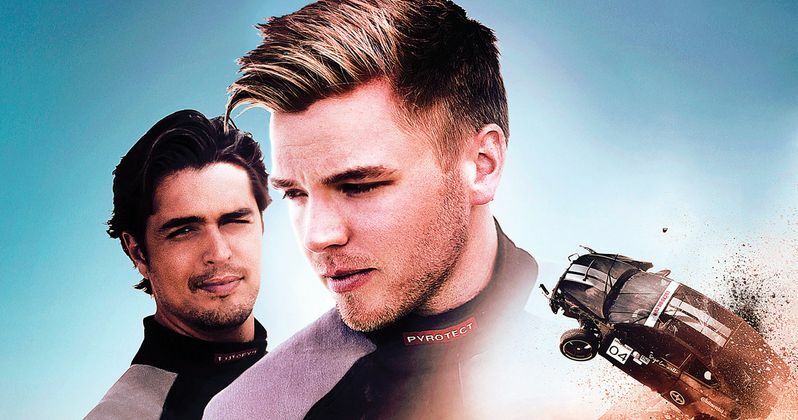 When two small town rival racers, Danny Krueger (MTV's Awkward star Brett Davern) and Jake Kendall (played by Brett Davern's real-life Awkward co-star Beau Mirchoff) are forced to work together to defeat a world class champion, Enzo Lauricello (Diogo Morgado) it becomes survival of the fastest in an ultimate race to the finish line. We have an exclusive look at the first trailer, which brings all of the action and excitement of this thrilling drama home! Take a look, and then be sure to check out Born to Race: Fast Track as the fall movie season begins to heat up! Get ready for thrills clocked at 150 MPH when Anchor Bay Entertainment presents the high-octane race car spectacular, Born to Race: Fast Track, on Blu-ray™, DVD, OnDemand and Digital Download. Born to Race: Fast Track is the inspiring, thrilling second film in the Born 2 Race franchise. The fast-paced, high-octane racing action is even more exciting and compelling, putting the audience behind the wheel and on the track! Fans of Born 2 Race and newcomers to the franchise will be thrilled with the exciting action of Born to Race: Fast Track as well as its heart. Featuring "old-school" filmed-in-real-time, non-CGI enhanced race sequences, Born to Race: Fast Track crosses the finish line starting August 29th when it's available for digital download on iTunes. It's available on Blu-ray, DVD and OnDemand September 9th. Danny and Jake are small-town street-racing rivals with fast cars and bad tempers. When Danny scores a summer scholarship to a top racing school, he'll find himself in fierce competition with an international class of drivers, in an illicit relationship with a new peer, and reluctantly teamed with his old nemesis Jake. To win big on this track, survival of the fastest is the only rule that matters.